Forewarned is forearmed, they say, so here’s some of what can go wrong when you inherit a house in Hawaii. Most people don’t have to worry about estate tax because of the very high exemption (in the millions), and the estate tax was even temporarily suspended on 2010. But also mostly suspended in 2010 was the step-up provision. 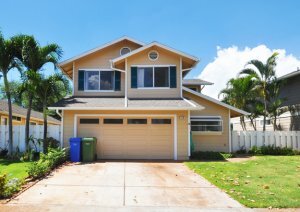 So in considering what can go wrong when you inherit a house in Hawaii and when you intend to sell it, you need to consider the stepped-up capital gains situation. With respect to what can go wrong when you inherit a house in Hawaii, this one may be the most costly. Most of the time, people inherit a house from a deceased elderly parent or very close relative. Besides not having the physical ability to perform maintenance and upgrades, many elderly people don’t have the money for it either. And if they do, they may simply choose not to because they know they won’t be living in the house very many more years. So what can go wrong when you inherit a house in Hawaii? Quite a lot, actually, if you’re not up to speed on tax laws, mortgages, and upgrade issues. It is best to contact a qualified professional to help head off these issue quickly.